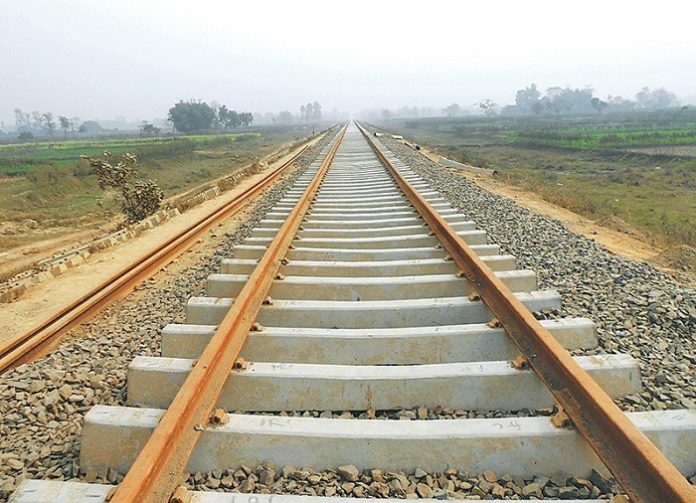 The County government of Kajiado has launched a new train route connecting the county’s headquarters to Nairobi-Mombasa Highway aimed at opening up at least four wards in Kajiado Central and Kajiado East constituencies while also reducing the traveling time between Machakos town and Emali. The train which will operate twice a week,on Wednesdays and Fridays which are market days in various centres such as Kajiado town, Ilbissil, and Emali, has a modern cabin with a capacity of 162 passengers. The development follows a partnership between the county government and Tata Chemicals Limited, a company which uses rail transport to move soda ash from Magadi to its Kajiado town processing plant. This new deal comes after complains from residents that the company’s trains only carried soda ash to its processing plant but not passengers.According to Governor Joseph ole Lenku, the move is a milestone that will boost trade and promote access to government services in Kajiado Town. The 42 Km Kajiado town-Konza route will save residents more than 100 Km they would ordinarily travel to reach Kajiado if they used road transport through Athi River. “The roads between Konza and Kajiado and between Konza and Isinya are always impassable after rains. The rail transport is reliable and cheap. Traders will utilise the new connection to promote trade,”said Mr Lenku. There will be two stop overs at Kwa Mumo Matemu and Oloshaiki. According to Mr mbui, they will make the trips daily after a review of how the public responds to it in the coming one year.Previously, residents would cover more than 70 kilometres and pay up to US $5 from Kajiado to Kitengela and eventually reaching Mombasa Road.